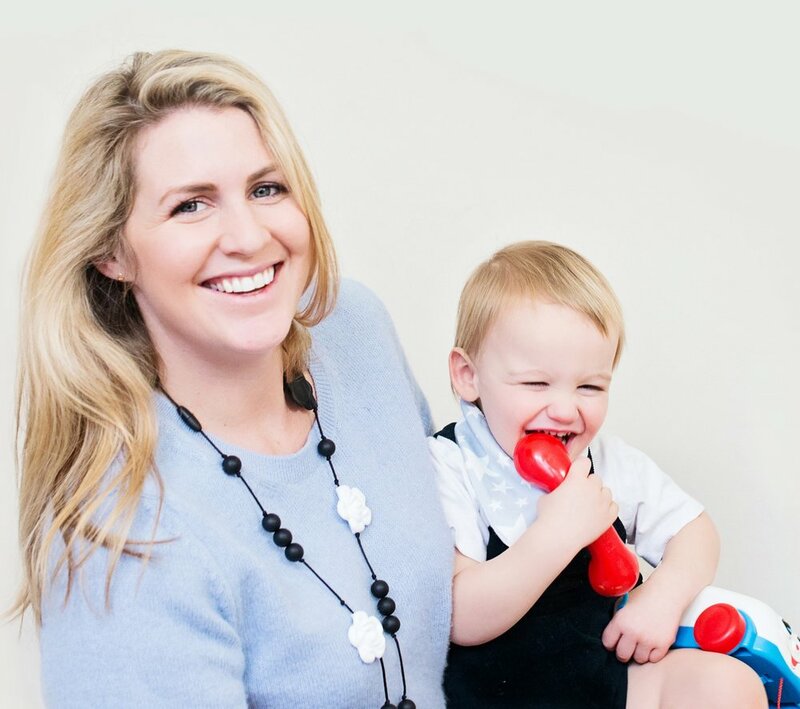 With a background in fashion design, Emily Sunderland Sutter is the energy behind premium accessories brand Nibbling, a range of pregnancy jewellery, teething necklaces, bracelets, pram mobiles and toys that are stocked in high end stores such as Harrods & Selfridges. We are proud to represent Emily and her amazing brand. A phrase that keeps me motivated is "two steps forward and one step back." Don’t let the set backs get in the way of the progress you are making. But I would like to think its more like “THREE steps forward and one step back"
Starting a teething jewellery brand in Europe when there was nothing at all like it when I started in 2013. My biggest low was giving bloggers my teething jewellery and 6 months later see them trying to set up their own brand of teething jewellery. I also hate to see good independent retailers go bankrupt. That is really sad. We try and do it all. I think it is because we can - we are educated, we have children and juggle working. But at the end of the day, there is not enough time to slow down and enjoy all the blessings in life. Be honest, hardworking and passionate about the things you do. Don’t compare yourself to anyone else. We are all different. Don’t follow the perfect “mums” and “women” on social media. It will only leave you feeling frustrated. It is better to spend time going with a friend for a coffee, a walk or a drink and having a laugh. We are living in a era of great change and empowerment for women. It is a time to celebrate the achievements of women and to encourage them to dream BIG and work hard. Less boundaries, more support for one another and we can do anything.